June 2, 2017 – Fairfield by Marriott, part of Marriott International (NASDAQ: MAR) today announced the opening of Fairfield by Marriott Kathmandu, which marks Marriott International’s entry into Nepal and further expands the company’s footprint in South Asia. Fairfield by Marriott is an established leader in the select service segment, with nearly 850 hotels around the world. 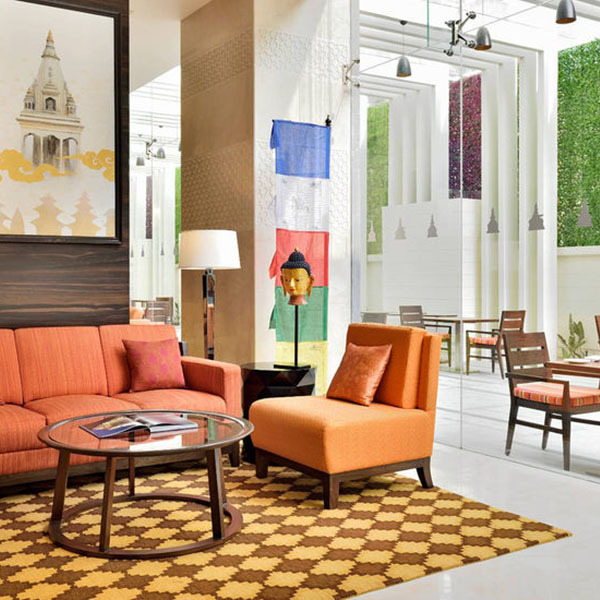 Fairfield by Marriott Kathmandu is located in Thamel, a district at the heart of the capital’s central commercial hub, which was previously known as a bohemian haven before it became a popular shopping destination. Close to all the destination’s popular attractions including the Narayanhiti Palace Museum, Garden of Dreams and the Kathmandu Durbar Square, the hotel is also conveniently situated 5km away from the airport. Fairfield by Marriott is designed for today’s traveler who is looking to be productive on the road, whether for business or leisure. In addition to complimentary Wi-Fi and hot breakfast, Fairfield by Marriott offers thoughtfully designed rooms and suites that provide separate living, working and sleeping areas. With nearly 850 properties around the globe, Fairfield by Marriott is proud to participate in the industry’s award-winning loyalty program, Marriott Rewards® which includes The Ritz-Carlton Rewards®. Members can now link accounts with Starwood Preferred Guest® at members.marriott.com for instant elite status matching and unlimited points transfer. For more information or reservations, visit www.fairfieldinn.com, become a fan on Facebook or follow @FairfieldHotels on Twitter. About Marriott International, Inc. Marriott International, Inc. (NASDAQ: MAR) is the world’s largest hotel company based in Bethesda, Maryland, USA, with more than 6,100 properties in 124 countries and territories. Marriott operates and franchises hotels and licenses vacation ownership resorts. The company also operates award-winning loyalty programs: Marriott Rewards®, which includes The Ritz-Carlton Rewards®, and Starwood Preferred Guest®. For more information, please visit our website at www.marriott.com, and for the latest company news, visit www.marriottnewscenter.com and @MarriottIntl.